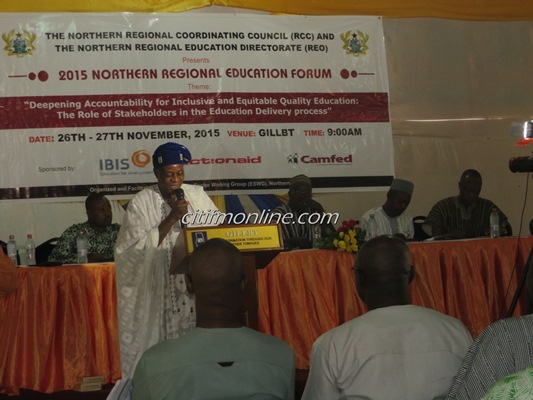 Government is unhappy about the falling standard of education in the three regions of the north. Reports indicate that the Northern, Upper East and Upper West regions have consistently scored the ninth and tenth positions on the league table of best performing regions in the education sector. It is against this worrying development government has tasked stakeholders in the education sector to draw an action plan for implementation to overturn the situation. 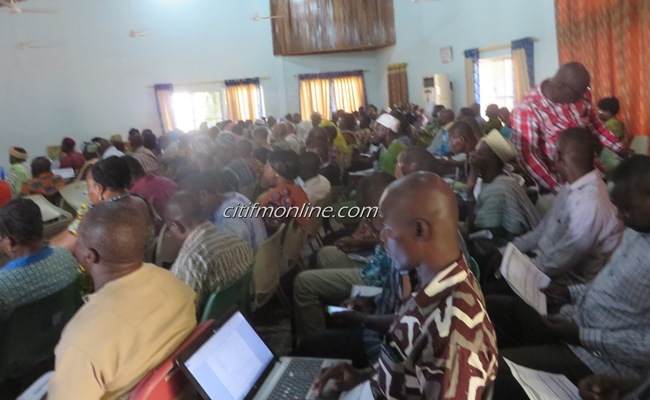 Deputy Northern Regional Minister, Alhaji A.B.A Fuseini at a two day regional education forum in Tamale cited raging teacher strikes as one of the causative factors. 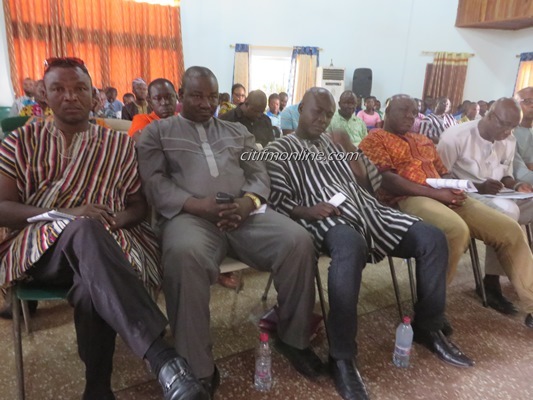 The Sagnarigu Legislator reiterated government’s commitment to expand education infrastructure in Northern Ghana. He thus challenged school administrators and teachers to live up to expectation. Alhaji A.B.A Fuseini cautioned students of second cycle institutions against indiscipline which hitherto has distorted the academic calendar over the years. He emphasized that disciplinary measures must be strictly enforced in schools to curb hooliganism associated with students. Northern Regional Director of education, Alhaji Mohammed Haroun Cambodia said teachers’ redeployment remained a major obstacle to his administration. He bemoaned some teachers’ apathy towards accepting postings to deprived schools where their services are needed. Alhaji Cambodia called for quality leadership at the Junior and High schools levels to improve the standard of education in the region. He appealed to the Ghana Education Trust Fund (GET fund) to allocate more projects for the education sector. As development partners in the education sector, a representative of civil society organizations, Ibis education project Director, Zakaria Sulemana blamed the falling standard of education in Northern Ghana on lack of teaching and learning materials, teachers absenteeism and deprivation of less endowed schools during the distribution of resources. He asked the education authorities to ensure equitable distribution of resources to schools in Northern Ghana. Zakaria Sulemana further charged stakeholders in the education sector to draw and implement a comprehensive action plan which could uplift the regions performance on the league table. He advocated attitudinal change on the part of teachers as means of improving the standard of education. Registrar of the Bolgatanga Polytechnic, Callistus Doozie Kpikakpe gave an overview of students’ unrest in Senior High Schools in the Northern Region. He implored school administrators to pay attention to early warning signals to prevent student violent strikes which often made headlines and caused embarrassment in the process. Callistus Kpikakpe also cautioned school heads against underestimating students’ grievances. 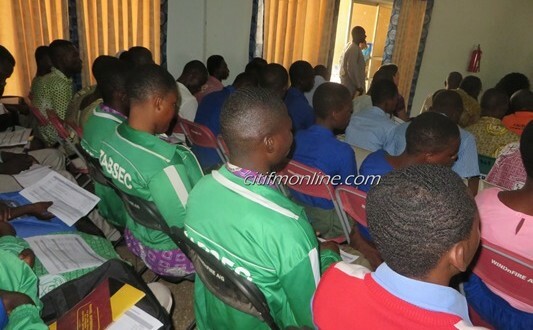 The workshop which brought together heads of departments, District Chief Executives, Coordinating Directors, school heads, some selected students and civil society organizations was sponsored by ActionAid Ghana, Ibis and CAMFED.